Havana cigars, 1950s cars, Fidel Castro, Cuba is trapped in an exotic time warp set to funky music and swaying palms. Star Clippers will take you around this breezy country on two new itineraries. Experience Cuba on either a new seven or eighteen night sailing experience starting and finishing in Cienfuegos, the pearl of the south where men once ordered their rums by the finger whilst women bathed by the bay sipping exotic punches. It is here in the sundrenched streets of this calm bay facing the Caribbean Sea that you will begin your journey. Drop into Caylo Blanco, an idyllic private island and Casilda (Trinidad) for a look at a perfectly preserved Spanish settlement built on huge sugar cane fortunes. Explore the rambling cobblestoned streets filled with guitar wielding musicians, donkeys and other trinkets of locals. Star clippers will open your eyes on land and by the sea. Cayo Largo will fill your senses with colour and wildlife for divers, snorkelers and swimmers. 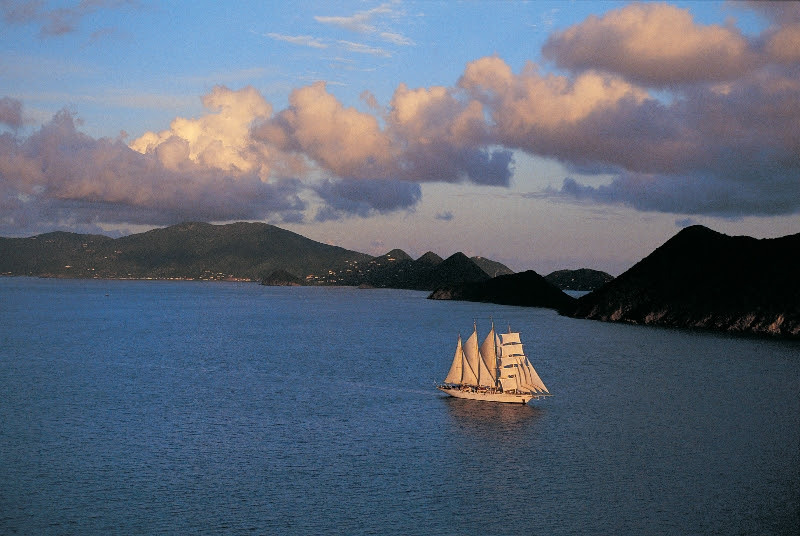 Fine as flour sand, sparkling harbours and fishing villages will pepper this unique experience with Star Clippers. Star Clippers’ Star Flyer luxury tall ships embody a new age of sailing in Cuba, where the traditions of the past are happily married to the comforts and amenities of the present day. Star Flyers have been created for luxury-loving passengers who also enjoy the traditions and romance of the legendary era of tall sailing ships. With a total capacity of 170 passengers, Star Clippers ensures guests don’t feel lost in a crowd and allows a social and personalised experience with pampered comfort. From secluded islands with extraordinary wildlife to one of the world’s most unique cultures filled with amazing people, architecture, music, history, and food, Star Clippers gives guests a true insight into the real Cuba. A Star Clippers 7 nights Cuba cruise is priced from $2,425 per person sharing a twin/double cabin and includes all accommodation, meals, onboard activities, port charges and gratitudes. The 18 night Cienfuegos, Cuba to Philipsburg, St. Maarten itinerary is priced from $7165 per person for an outside cabin. This price is valid until 30 June 2014 and is 25% off the regular price.